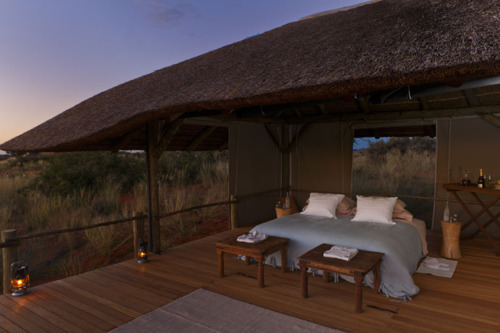 Tswalu Kalahari Reserve has long been a favorite at Scott Dunn and the opening of their new star bed, the Malori, has made us fall in love with it all over again. 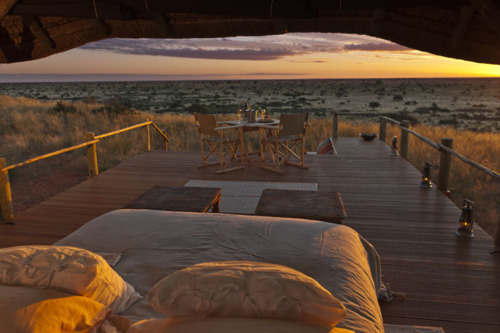 The Malori, meaning dreamer in Tswana, is a stunning sleepout deck, offering guests the unique experience of sleeping under the stars surrounded by the night sounds of the Kalahari – but in sheer luxury. Guests sleep in a luxury king size bed dressed with exquisite Aldona linen. Luxury towelling robes and slippers are provided and an adjacent outdoor toilet, basin and shower are just a short distance away along a lighted walkway. A simple fold-up table and camping chairs and a cushioned couch complete the barefoot luxury experience. 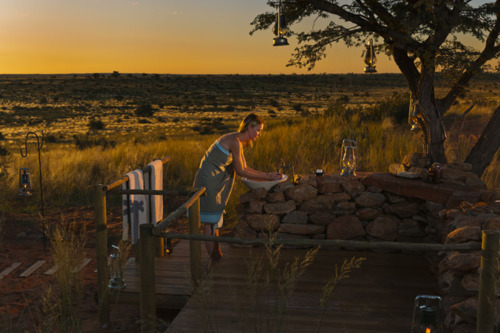 Built to maximize the exquisite surroundings and the sleepout also has incredible panoramic views of the vast plains of the Green Kalahari, orientated to showcase the incomparable Kalahari sunsets that can be enjoyed over a delicious supper prepared by your very own chef. 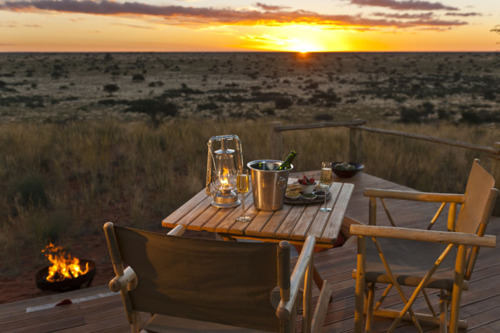 Awaken at sunrise to birdsong and the sounds of the early morning in the Kalahari with your guide will bringing your tea and coffee in bed and preparing a delicious continental breakfast on the deck. 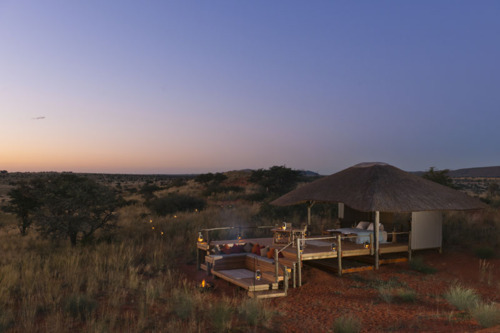 Tswalu also provide children’s camping beds, so the whole family can enjoy an exhilarating Kalahari sleepout under the stars.